Quizzes are powerful lead generation and marketing tools. We designed Riddle’s quiz maker to easily connect to all kinds of email marketing tools (like MailChimp, AWeber, and more). Now you can use our new Blue State Digital quiz integration to automatically send all quiz responses and leads to your Blue State Digital account. Quizzes are powerful lead generation and marketing tools. Use our Blue State Digital quiz integration to automatically send your quiz responses and leads to your Blue State Digital account. Create any type of Riddle quiz – we recommend our ‘pop quiz’ to start out with our Blue State Digital quiz integration. In the ‘collect leads’ step of your quiz – create a lead generation form to collect information (choose from 16 types of data fields). Create whatever fields as you want but note that only text fields are possible inside BSD. Don’t worry – you can use any of Riddle’s 16 data fields like dropdowns, radio buttons, etc. in Riddle. All data will be sent as text to your text fields in Blue State Digital. 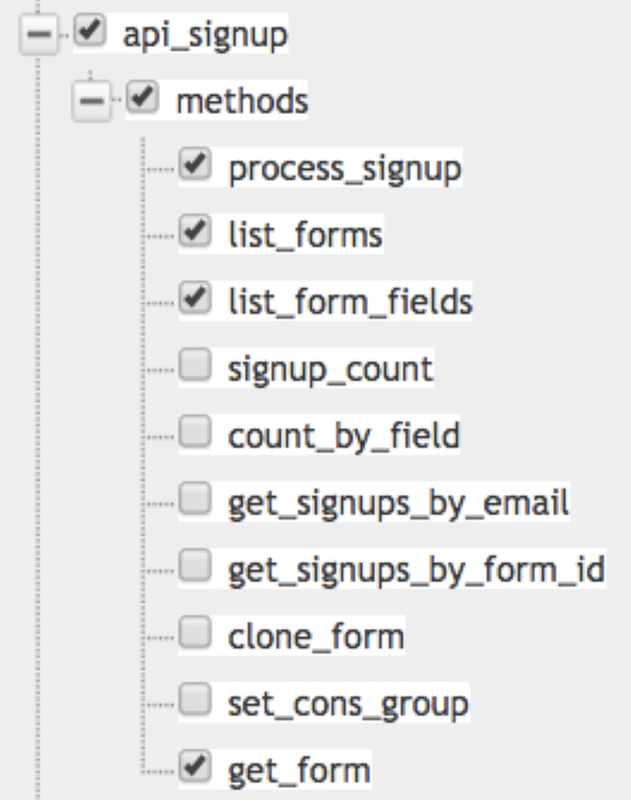 Auto-subscribe users: at bottom of your BSD form, set how users will be added to your subscriber list. Set the email opt-in default => we recommend leaving as ‘unchecked’. Next up, you need to configure your Blue State Digital quiz integration to communicate with Riddle’s quiz maker. When editing your Riddle quiz, go to the ‘Collect leads’ step. Enter the API permissions: API ID, API secret key and the API URL. The description is the ‘Name’ of your new API user created under BSD. You’ll find your “ID” and “Secret key” in your BSD Tools account under the “Advanced Configuration” section. The API URL is the URL where your BSD Tools account is reachable (check browser address bar – without the ending “/”). Select your sign up form. Next – map your fields from your Riddle form to your BSD form. For example, map the field collecting emails (‘Email’) to your email field in BSD. One note – post codes/zip codes can sometimes cause issues. If you’re having any trouble, please check “Enforce Country-Specific Postal Code/Phone Rules” is selected as ‘Yes’ when editing your form in Blue State Digital. ZIP/post codes: set all post codes to follow the standard format such as NW18 7FF – instead of NW187FF. Phone numbers: you can require your fields to be entered as +1 (###) (###-####), instead of ###.###.#### or the like.